I'm so excited to be a Guest Designer at Imagine That! Digistamp, please click on the link to check all the fun inspiration from the Design Team and click HERE to look at all their fun digi stamps in their shop!!! 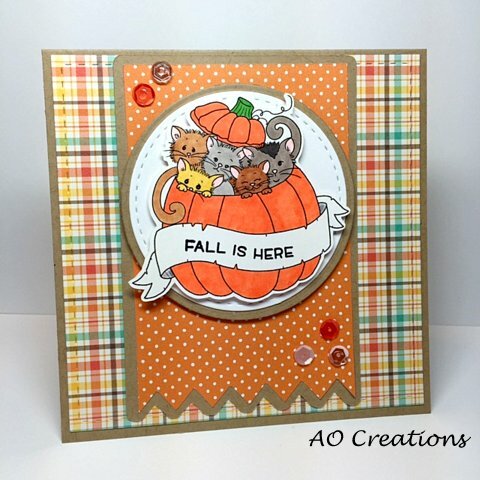 I used Pumpkin Kitties on my card, those kittens are too cute!! !